Known as Reighi, Lingzhi, and Yeongji, Ganoderma Lucidum was crowned by the ancient Chinese as the “Miraculous King of Herbs,” due to its superior attributes which have stood the test of time for over 4,000 years. Ganoderma Lucidum is the scientific name of this mysterious Red Mushroom that has traditionally grown on only 2 out of 10,000 aged wild plum trees found in the dense and humid high mountain forests of Asia. To date, no known herb has challenged its superiority. 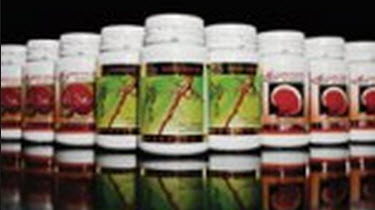 With good reason, thousands of scientific studies published on the Internet document growing confidence in its astonishing immunomodulating and adaptogenic properties. A friend of ours started struggling with terrible acid reflux. She was introduced to Ganoderma Lucidum in coffee. She was concerned that drinking coffee would make her acid reflux worse – but decided to try it. After the 1st cup of coffee infused with Ganoderma Lucidum, she started to feel some relief, and within a few days, she was pain free. Ganoderma was once so rare in nature that it was available only to royalty upon penalty of death. Modern cultivation methods have made it available to the masses, but Gano Excel has built and sustained the largest organic Ganoderma plantation in the world. After years of research and preparation, Gano Excel exclusively offers you the most potent, nutrient-dense, standardized extract you can buy! In 1997, Gano Excel came up with the most brilliant delivery medium ever conceived. They discovered that Ganoderma Lucidum’s bitter taste blends perfectly with COFFEE (actually enhancing the bittersweet, savory taste). As the richest source of Organic Germanium known, and purveyor of over 200 additional Phyto nutrients, Ganoderma further legitimizes our claim that we offer THE WORLD’S FIRST CHOICE of a healthier coffee. In 1983, Malaysian scientist Leow Soon Seng identified six varieties of Red Ganoderma Lucidum demonstrating a high therapeutic value. He further determined that the Malaysian climate, with its saturated humidity and constant temperature (averaging 85° F or 30° C), was highly conducive to Ganoderma cultivation. Using tissue cultured from the original 6 superior specimens he isolated, Mr. Leow was able to produce exact replicas with identical properties and potency. 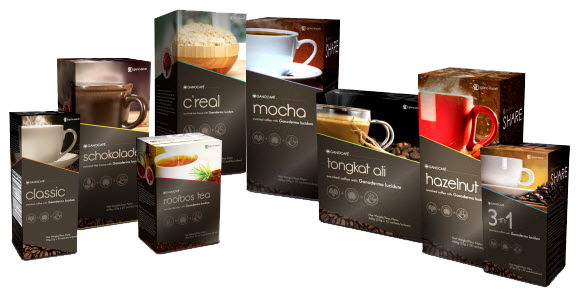 Germinated in a rich growth medium (blended from paddy husks, brown rice flour and rubber tree scraps) and cultivated in a highly controlled environment, Mr. Leow was able to consistently produce a nutrient-dense, organic Ganoderma Lucidum extract that would ensure the highest therapeutic value possible. With a childhood friend turned business man, Dr. Leow Soon Seng started Gano Excel over 15 years ago. 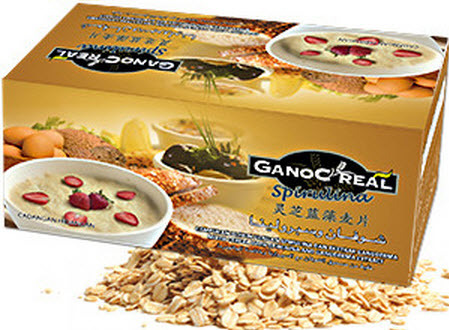 Gano Excel owns and operates the world’s largest environment-friendly, organic Ganoderma Plantation. The enclosed planting sheds utilize sophisticated and modern technology that protects the Ganoderma from its natural enemies, while preserving a pristine growth environment. Ganoderma takes approximately 3 months to mature; and the cultivation process is closely supervised so that the Ganoderma is harvested only when the nutrients have reached their apex. Even exposure to the sun is tightly controlled in order to produce the highest quality mushrooms possible, with the greatest therapeutic value. Gano Excel is a global company, founded in 1995, and owns the largest organic Ganoderma Lucidum plantation in the world. In its state-of-the-art laboratories, we create a standardized, proprietary extract from the six most potent varieties of red mushrooms that are impossible for competitors to replicate. Marketing this unique extract in a variety of presentations, Gano Excel is approaching $500 million in worldwide retail sales. In internationally certified manufacturing facilities (ISO 9001:2000 & GMP), the exclusive Ganoderma extract is blended with the world’s finest coffee beans, which we roast to perfection, percolate and then spray dry to avoid any chemical processing. Blending the power of Ganoderma Lucidum with over 100 antioxidants and 200 phyto nutrients like triterpenoids, polysaccharides and Organic Germanium – perhaps the most therapeutic compound found in nature – with coffee, is nothing short of brilliant. Coffee is the undisputed comfort beverage worldwide (greater than colas and teas combined) and is the top traded commodity, second only to petroleum. In North America alone, three-fourths of the population drinks 4 to 5 cups a day. Water alone is more popular. With its simple yet brilliant strategy, rather than changing habits, Gano Excel is using coffee to deliver health…one family at a time!